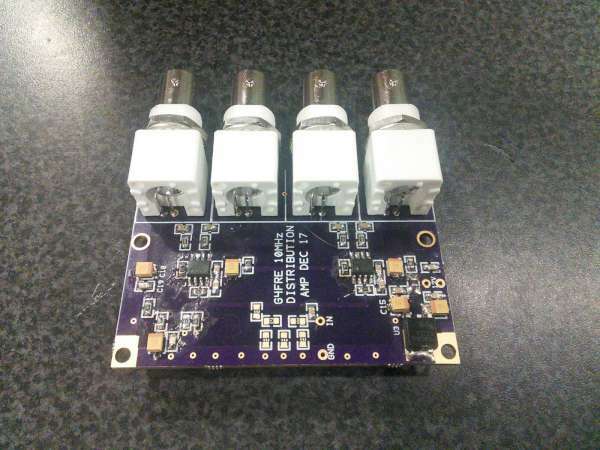 This entry was posted on Thursday, March 15th, 2018 at 10:10 pm	and is filed under DIY, PCBs. You can follow any responses to this entry through the RSS 2.0 feed. You can skip to the end and leave a response. Pinging is currently not allowed. I would be interested in 1 or 2 of your circuit boards. The LM7171 used in this very simple design can be simulated in LTspice with reasonable results at 10MHz using the non-encrypted PSPICE model from TI (download it from the LM7171 TI homepage and use the LTspice bult-in opamp2.asy symbol). Also look at the LMH6703 part; lower drive current but higher GBW and more. The LMH6703 non-encrypted PSPICE model from TI also works in LTspice but it requires more work to get the symbol to function.